The Exo Terra Cricket Pen is a better design than other cricket keepers on the market. The tubes go through the BOX rather than through the LID like competing products, so the tubes do not have to be removed to remove the lid making it much easier to add more crickets, change the food/water, etc, without crickets escaping. Also, the flaps that close the hole when the tubes are removed flip open to the INSIDE of the box, so the tubes can be reinserted using only one hand (on competing products the flaps open to the OUTSIDE so they have to be raised with one hand while insterting the tubes with your other hand). 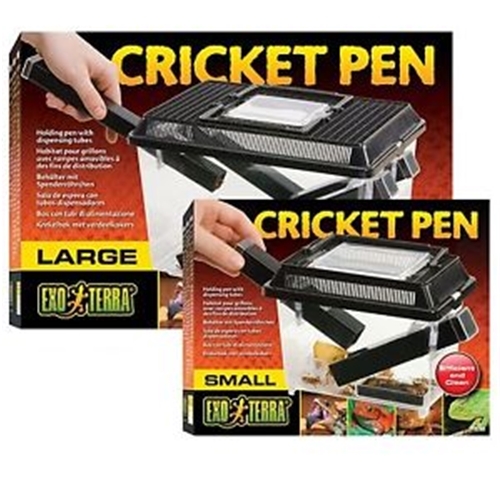 The Exo Terra Cricket Pen is ideal for housing, keeping and dispensing live crickets. Crickets like dark spaces, and readily crawl into the tubes which provide hiding places for them, making it easy to use the tubes as dispensing tools. The tubes remain in position when the lid is removed, allowing easy access and less chance of cricket escape. 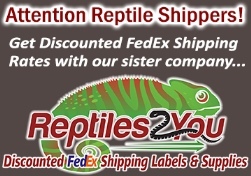 Gently pull out a tube, shake a few crickets into your animal's cage, & replace tube into Keeper. What could be easier?